The ability to accurately and consistently meter ingredients into a continuous mixer is critical to the quality and consistency of the product at the mixer discharge. This is why, at Exact Mixing, we design and supply metering systems to almost every mixer we supply. Not only must the metering system accurately meter raw materials into the mixer, it must be versatile, easy to clean and reliable. The critical parts of the metering system- metering device, device control, and system recipe controls – must work seamlessly together. 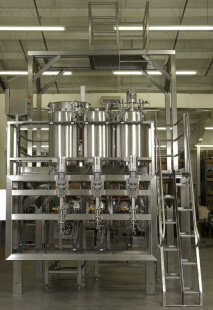 Exact Mixing Systems are designed with gravimetric, Loss-in-Weight technology, which provides precise, uninterrupted dry ingredient metering to the Mixer. 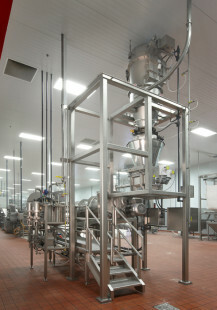 The Loss-In-Weight feeder receives a set point from the system recipe control. 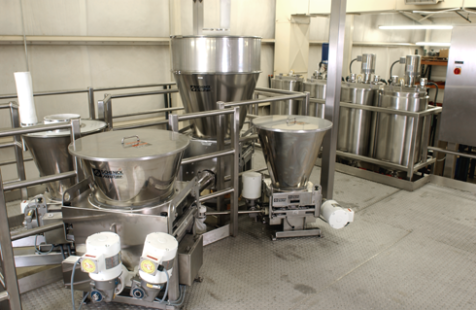 The actual process value is returned to the system recipe control from the Loss-In-Weight feeder. The two values (set point and actual value) are constantly compared and recorded. Most often the two values are the same, but if there is a difference, the system alarms the operator to investigate. 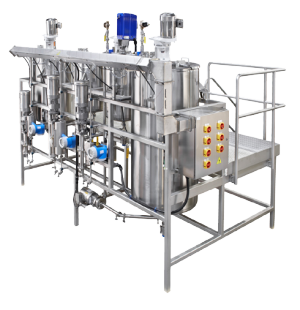 Liquid ingredients are metered with the use of metering pumps, flow meters and closed loop controls. Like with Dry Metering, the two values (set point and actual value) are constantly compared and recorded. Most often the two values are the same, but if there is a difference, the system alarms the operator to investigate. Depending on the ingredient needs, the liquid systems can be jacketed for heating or cooling. Some ingredients require specially engineered metering systems. Examples would include solid fats, pastes, easily damaged particulates, two phase liquids and other dough streams. Exact Mixing engineers have experience in all these metering systems and can meet the most difficult metering challenges.